In September 2013 we held a group of Sharp Dealers at our office in Orlando, Fl. This was for a training class to learn about a new product that Sharp is coming out with. We had dealers from all over the state of Florida come to our office. Not only was it a great opportunity to learn something new but also to connect with new people. In 2012 AD Solutions held a clothing drive. Everyone in the office participated to collect clothing to give to those who might not have what they need. It was a great time for us to come together as an office and give back to the community. All the clothing that was collected was delivered to Goodwill. In April 2013 AD Solutions sponsored a fundraiser for giving back to the less fortunate. The children that were in attendance were able to go to football camp, got free food and drinks and were given tickets to the Predators Game! It was great fun for everything who attended this awesome fundraiser!. Each year AD Solutions throws a holiday party for the employees. In 2012 it was held at Cuba-Libre. There was great food, great music on a great atmosphere. Everyone had a great time as they shared and celebrated another end to a successful year. Year after year AD Solutions hosts a town hall meeting to discuss the previous years growth. In 2012 the meeting was held at MaggianoÃ¢â‚¬â„¢s. There was great food, great prizes and great company as they discussed the last yearÃ¢â‚¬â„¢s growth and how they would continue to grow in the future. Every year there are the select few that get chosen to attend the Sharp Dealer Show. At this trade show we were given the opportunity to learn about new products that Sharp; was rolling out and also got some great education regarding old and new products from Sharp. 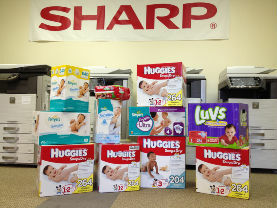 In 2011 the Sharp Dealer Show was held in Las Vegas. We were given the chance to to learn some new information and see some great new products. A.D. Solutions. Happy Friday! We are currently involved in a fundraiser benefiting the Coalition for the Homeless of Central Florida. Our fundraiser is well known as the Smart Casual Fridays Program. The way it works is we have bracelets for sale, each week that if you purchase one, you can dress “Smart Casual” on Friday’s. Also, team member are encouraged to bring in diapers. 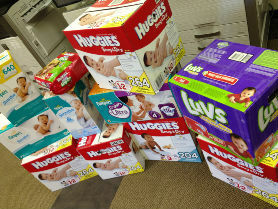 At the end of each year diapers are delivered to the coalition. With many bracelets being bought, we can guarantee GREAT SOLUTIONS, GREAT RESULTS. A.D. 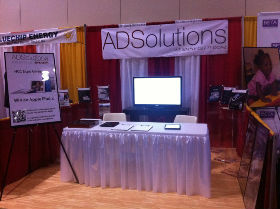 Solutions hosted a booth at the Hispanic Chamber of Commerce Expo 2011. The purpose the Hispanic Chamber of Commerce Expo serves is to provide an environment to strengthen the economic development and community integration between businesses and the Hispanic community in the region. A.D. Solutions hosted a booth exposing our brand, products, and services to the Hispanic community. The entire event was a great success. A.D. Solutions was able to share much about their company to many Hispanics of the community. We can guarantee GREAT SOLUTIONS, GREAT RESULTS. ADSolutions participated on the Metro Orlando Executive Lock-Up to benefit the Muscular Dystrophy Association (MDA). 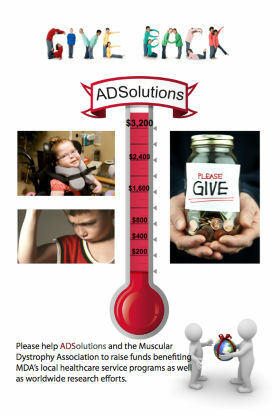 ADSolutions along with its employees came together to raise over $3,200. Lynda Lizarazo, President of ADSolutions participated on the social activity and presented the raised money to the LOCK-MDA UP fundraiser. We thank all of the employees and other participants for your help. ADSolutions is extremely proud of each and every one of you… and leaves you with a message to keep helping out our community!